Early morning one day's climb on the wandering trails through stones and caves of Mt. 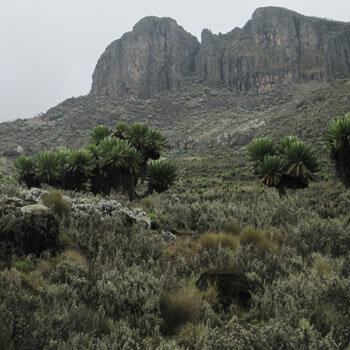 Elgon to enjoy the volcanic features and the wilderness of the area. 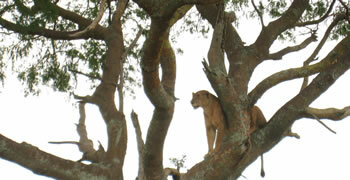 Some wildlife like Bushbucks, Black and White Colobus monkeys, Duikers, tree squirrels can be seen. Some birds whose range in Uganda is limited to the ranges; Spotted Creepers, Jackson's Francolins, Moustached Green Tinker birds, Hartlaub's Turacos can also be seen. Early morning drive down from the mountains and a visit to the spectacular 100m Sipi Falls that flows from the Volcanic Mountain (Elgon), a nature walk and site seeing around is very rewarding.